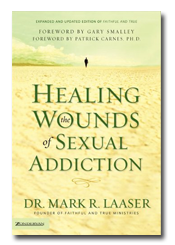 Dr. Laaser gives the most clear and comprehensive explanation of how sexual addiction works from a Christian perspective I have read. It also clearly lays out what recover looks like in a very realistic manner. This book is also an excellent book for counselors, pastors and spouses who work with or are in relationship with someone struggling with sexual addiction. For a support group dealing with sexual addiction, this would be on my “mandatory to read” list.